First of all I want to apologize for my delinquency in blogging over the past week. My blog posts are often the result of things I bake and I don’t typically bake when traveling. Not that I don’t consider it. Our hotel last night actually came equipped with a partial kitchen so it’s not entirely out of the realm. Please accept my apology, a random assortment of travel highlights and a very cute baby photo to make it up to you. I spent the better part of last week in Washington, D.C. for work. Each May, my company hosts a conference there and I always look forward to nice weather and a chance to get out and explore the city. If you haven’t traveled to D.C., you should. Aside from the gorgeous homes, lush greenery and historic sites, the city has a great air about it. I always feel more political as soon as I get off the plane. It’s hard to describe but I equate it to the opposite way you feel after a weekend in Vegas. In D.C., you feel smarter because you are surrounded by smart people making big decisions. It’s like wearing a pair of glasses even though your eyesight is 20/20. Whenever I travel for business, I try to pack my running shoes for the off-chance I get an hour to head out and see the city on foot. 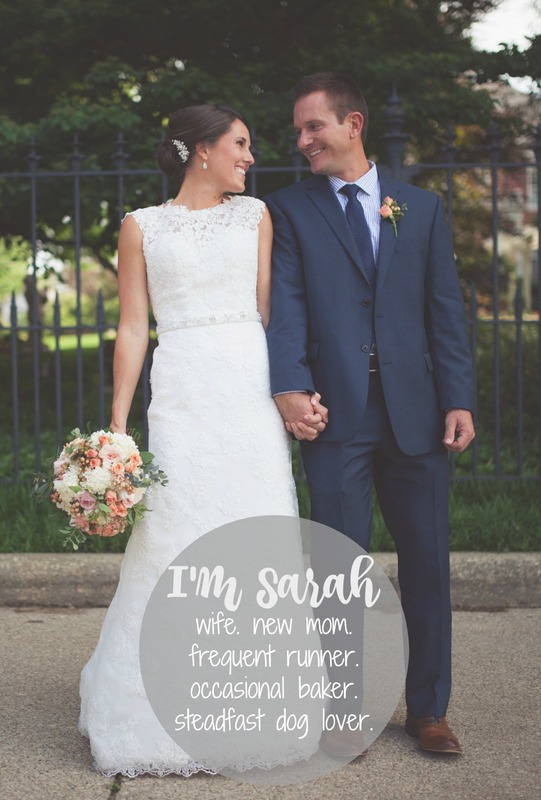 It may seem silly to a person who doesn’t run often, but I enjoy it. Trust me my former self laughs at my present self sometimes too, but I’ve found that it’s one of the easiest and fastest ways to explore a city. And thanks to iPhone technology, I have most of these running tours documented. I know it completely kills my pace but I really enjoy stopping along my run to snap photos with my phone. After all, you never know what you’ll see along the way. Like a man painting his cheekbones with clear nail polish at 8 a.m. Not that I witnessed that or anything. 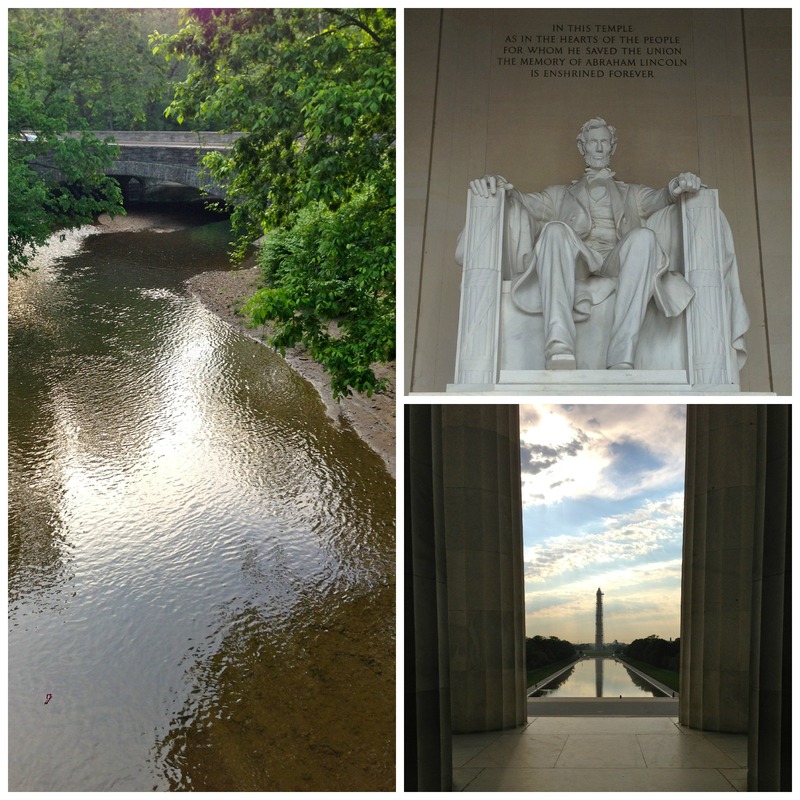 The trail runs down the creek and to the Potomac near the Lincoln Memorial. I usually try to stop in to see Abe because that’s what people who grew up in Springfield should do. The last time I visited they were renovating the reflecting pool so I didn’t get a chance to see well, a reflection. This time I did and it was beautiful. After visiting Lincoln, I decided to just run over to the White House. You know, just to see what was new. A warning to those interested in beginning their own running tours. Make sure you don’t get distracted as easily as I do or you will be in for more miles and time than you originally accounted for. But you get to see a lot of monuments! I’d like to present you with a lesson in timing. 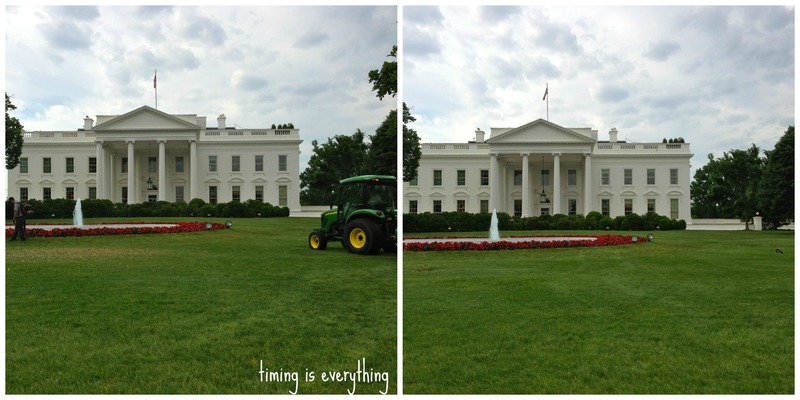 It takes a lot to make that lawn look pretty folks. And if you snapped your photo too soon, you would see an entire grounds crew, working faster than the 7th inning at Busch Stadium. After the White House visit, I looked down at my watch and realized I was 7 miles in and about 2 more straight uphill away from a full day of work. So that was fun. I flew back Friday just in time to head up to Milwaukee for the kick off to summer concert season. If you were expecting a religious excerpt thanks to my headline, I apologize as the only Church you’re getting here is that of the man himself, Eric. 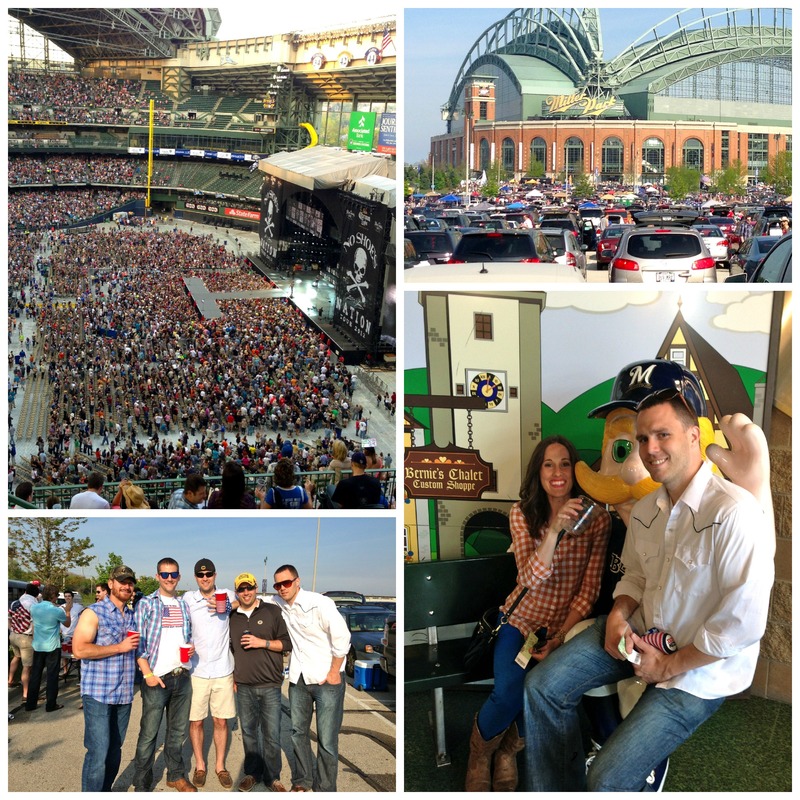 A group of friends and I headed up to Miller Park to see Eric Church this weekend and it didn’t disappoint. Unlike D.C. and a little more like Vegas, those cheeseheads sure know how to tailgate. We saw a great show, enjoyed some gorgeous weather and I was able to check Miller Park off my baseball stadium bucket list. Point Sarah. We wrapped up the weekend with an impromptu but delicious brunch at a place called Blue’s Egg in nearby Bridgeview. Big thanks to Yelp for coming through on this gem. I love little more than finding a local place with unique food and nice people. If you’re in the area you must try the very stuffed browns with goat cheese, roasted olives and paprika aoli. Then take a nap. I did manage to do a little baking between D.C. and Milwaukee but I’ll save that for Wednesday. Until then, I hope you’re enjoying the gorgeous weather as much as we are here in Chicago. Have a wonderful week! thanks for the mom message…and it came at just the right time, when I was thinking don’t run down that trail….love mom.